RETIRED FROM M,U, IN COLUMBIA MO. 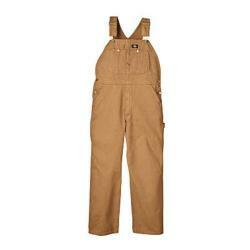 I GOT TWO PAIR OF BROWN DUCK BIB,S THEY WILL WORK GOOD WHEN THE SNOW BLOWS THIS YEAR. GET THEM NOW! I love the price and quality! But when i ordered it, i chose the 32 inch inseam and they sent the 30 inch inseam. Not the end of the world, but seriously?? I absolutely love these coveralls. I wear them when I do yard work and they are just perfect!! There color is great and the material is sturdy and feels good too. I highly recommend this! Well Pleased, delivered in timely matter. I enjoy ordering from OverStock.Com.. My Daughter highly recommended them..
great product, durable and comfortable will order more when they arrive in stock!!! Rough and rugged world! Built to last. I received it yesterday, my brother loves it!! He is always out working in the cold, and this item sure will keep him warm and brave the elements. he loves it!! Got these for Christmas. Still haven't used them yet. Wife's got them wrapped up and hidden until the 25Th or until we start getting more colder air..
Great item for price. Son loves these!!! Hello allisonh1214, this is not flame resistant. Thanks for shopping with us!